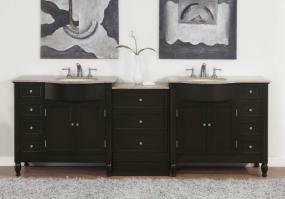 The cream marble counter tops of this vanity pop from the simple lines of the darker cabinet. 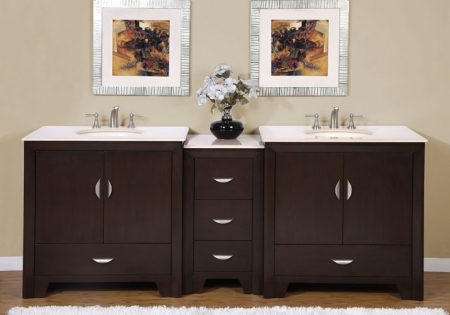 Three small drawers are centered between the double sinks. 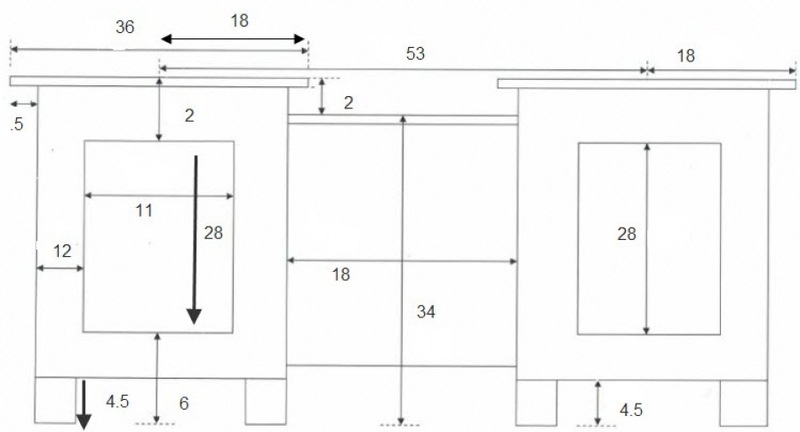 Under sink storage includes a cabinet and drawer for each side. 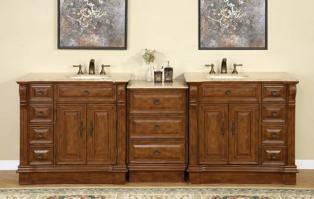 Cabinet ships in three pieces and fixtures are sold separately. Additional Sizes: Also available in 36 Inch Single Sink Bath Vanity, 54 Inch Single Sink Bath Vanity, 90 Inch Double Sink Bath Vanity. This vanity was delivered and is even more beautiful in person than it is in pictures. The countertop is stunning and I could not be any happier. 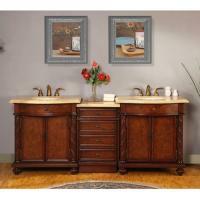 I am so impressed with the vanity and also the quality of customer service that Unique Vanities provides. I wish every company was as well run and customer focused. I was contacted numerous times before the delivery and was even sent a thank you after. All around the best service I have ever experienced. 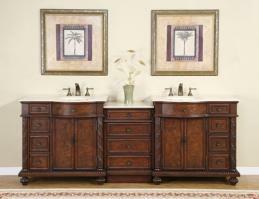 The vanity is perfect. Nicer quality than I expected. It arrived ahead of schedule in perfect condition. Customer service through out has been outstanding!